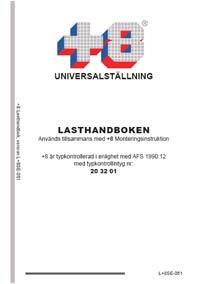 Download +8 loading handbook (European version). To open the file at least Acrobat Reader 5.0. is needed. Click here* or on the picture below to download Acrobat Reader.